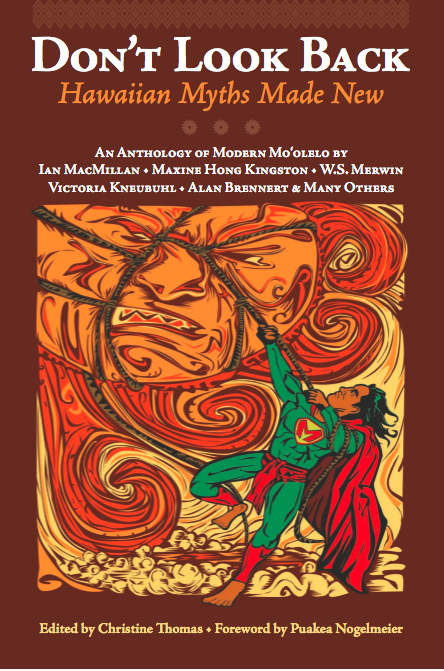 Through a friend at the University of Hawai’i, I have learned of the passing late last week of Hawai’i author and UH writing professor Ian Macmillan. The loss of his distinctive contribution to literature and Hawai’i writers and readers will be felt throughout the islands, by many who knew him and learned from him. Ian MacMillan was a veteran and prolific author of short fiction and novels, including a trilogy of World War II novels published by Viking-Penguin: Proud Monster, Orbit of Darkness, and Village of a Million Spirits—which won the 2000 Pen USA-West Award for Fiction; and three Hawai’i novels: Red Wind, The Braid, and Seven Orchids—which in 2007 won a Ka Palapala Po’okela honorable mention for Excellence in Literature. His work appeared in more than 100 literary and commercial magazines. His stories were taught in local schools like the Punahou Academy, and were included in prize anthologies, winning him, as just a few examples, an O. Henry award, Pushcart Prize, and Best American Short Story Award. 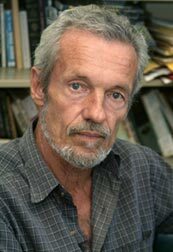 He also generously contributed to the development of local writers through his steadfast commitment to teaching in the UH Manoa Creative Writing Program, where he influenced many now successful authors since 1966. Ian MacMillan lived in Hawai’i for 40 years, earned his BA from the State University of New York, Oneonta in 1965 and in 1966 his MFA from the University of Iowa. Sadly his wife died just 20 days before him. He is survived by his daughters. At the end of 2006, I interviewed Ian for my Advertiser column What I’m Reading. Here’s his full interview, again, in remembrance. A. I’m always halfway through a number of books. The one I’m reading now is part for interest and part for research: A.O. Bushnell’s “The Gift of Civilization: Germs and Genocide in Hawaii.” It’s probably the most important and best out-of-print book I know of. It’s about the diseases after Captain Cook. I bought this a little less than a year ago because of research I’m doing for a book I’m writing, but it’s fascinating in itself. Another one is Kurt Vonnegut’s “Time Quake.” I try to read Vonnegut because he was my advisor at Iowa during graduate school. Another is called “The Bear Went Over the Mountian,” a satire by William Kotzwinkle. It’s a funny book. Q. Which one most captures your imagination? A. The Bushnell, just because the information is fascinating. Bushnell was a novelist and also a microbiologist, so he knew all about this situation of the effect of important microbes and imported germs on the population here. He explains all that and why it happened the way it did. You realize how important it is. He’s very accurate and the implications are still in place today. Q. Is your new book related to today’s fight against foreign plants and animals? A. It’s a historical novel set in Hawai`i. Bushnell’s book covers the time period I’m dealing with, the late eighteenth century. Q. Do you read a lot when you’re working on something new, or just for research? A. I don’t have any problem reading while I’m writing. What I read most is my creative writing students’ work. So switching from their writing to something I’m working on is no problem. Q. Does what you read inform not only your new writing, but your advice to your students, a new crop of Hawai`i writers? A. I just read to get a good story. What made me want to read Bushnell was the information; then I realized how important it was when I started reading.